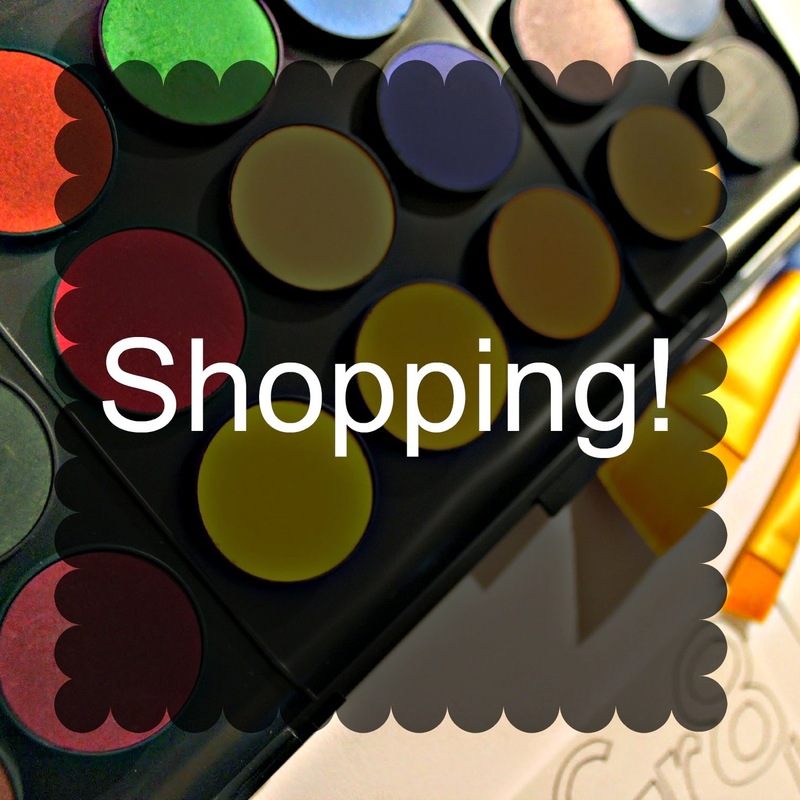 The Sarah Judith Diaries: Shopping! It has been a while, as I have been busy doing assignments! Term 3 is definitely a killer of a term... Anyways, I of course managed to fit in some shopping and that's pretty much what this new post is about. Some of the items I bought a few weeks ago, but I just thought they were cool enough to have in this post as well. I guess I'm spreading the love to my inanimate objects. And the second book I bought is 'Wreck This Journal' by Keri Smith. If you haven't heard of this book, we can no longer be friends. Sorry. But if you have heard of this book or/and have one of your own, I love you all so much more and seriously, I would love to see your creations, so feel free to tweet me you pages or tag me on instagram! I might take on some ideas for mine from it. And now for something oh-so-exciting! I managed to finally finish a lip balm! I know, it's not that exciting, but in my whole 17 years, I have somehow managed to never finish one because I either lost it, or it ended up in the wash because I forgot it was in my pockets! So here it is, the current one I am trying to finish, in all its glory. But I love it to bits and my art teacher was definitely thrilled when I brought it in to show it to her. It came with a free gift, which were these earrings, which I'm not going to wear because they are made out of super cheap crappy looking material, but just the thought of having a free gift was really cool! I also bought a new phone case from Wish, so hopefully in 2-3 weeks I'll post about that as well! It's a super gorgeous case to be honest. And here is a totally majestical looking stapler. Yes, I know, 'wow you seem really proud about buying a stapler. Nerd.' Whatever. It was on sale so I got it for about $3 and it is my first stapler, and it's pink so it matches pretty much everything I own. And I have a plan to start up an Etsy store once I graduate, so I bought an A4 visual diary to draw my ideas in so then I can get ahead with designing! I bought these skirts ages ago, they were $2.50 each! I had to buy them, and even though they're too big for me, I knew that they would make the perfect cushion covers. The patterns won't actually match my room design, so maybe I'll give them away? I have no idea, it was mainly an impulse buy and I somehow have no regrets. I'm eating some right now, not even regretting it. BUT, I will try them out in about 4 weeks time, and I will definitely be posting the results! I am so excited for the holidays! And this is my favourite buy so far, my new watercolours and paintbrushes. I needed some for my art assignment, and I wanted to have my own instead of using the dodgy looking ones from school. $15 later and I was the happiest person alive. And of course, Sanity was having a sale, '3 for $60' and I got the first three seasons of 'Offspring' because I watched one of the recent episodes because it was just on TV and I bawled my eyes out. I went shopping with my mother the other day at 'Petrie Markets' and there wasn't that many stores there because it was poring down rain, and us Queenslanders are a bit scared of rain... (I love it, but people up here just aren't used to the sight of rain) And I found this jacket, with imitation leather for only $30! It was again on sale - duh it's me shopping here - marked down from $60. I have been searching for a good leather jacket for ages! Thank you good old lady, your shop was amazing! It came with this weird little foam pom-pom thing and it smells nice. Neither mum or I knew about it being in the bag, so I'm just using it to smell up my wardrobe until it's not nice smelling anymore. That's the last two or more weeks of my shopping! I have saved a lot of money from my sale hunting skills, naturally, and I don't even regret a thing. I also have some announcements to make, such as the Etsy store I have mentioned a few times above. I have been interested in starting one for ages and just selling things that I've made just for fun yet don't want to keep. It happens, all the time and usually they end up being a gift to a friend or someone. Anyways, as I am going into Uni next year, I have decided to just sell them to make some money on the side! It sounds like a good plan to me! Also, I have been wanting to start a newsletter for my blog, so that I can notify people of new posts, or just a simple 'hey'. I have no idea! I am trying to get to know my followers better, so if you tweet at me, or even email me, or whatever social networking thing you stalkers can find me on, no matter what ridiculous time it is, I will try answer you! I love talking as you can tell from this overly long post.